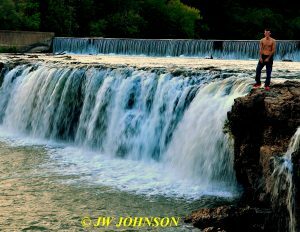 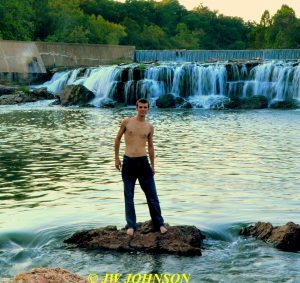 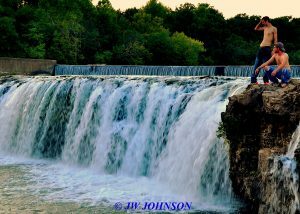 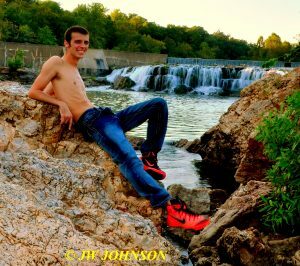 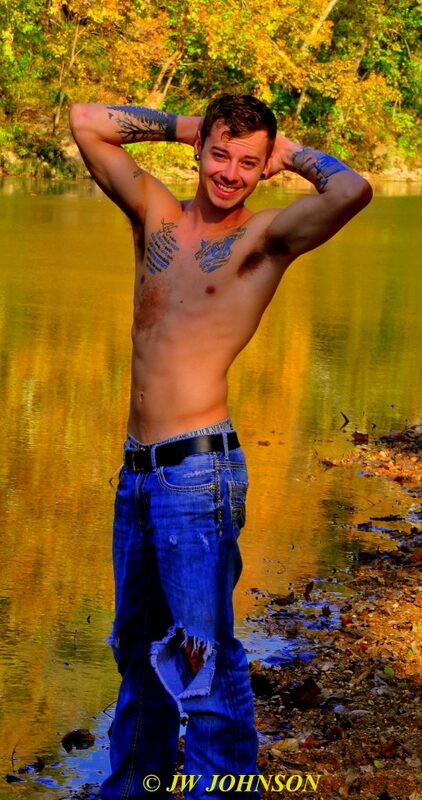 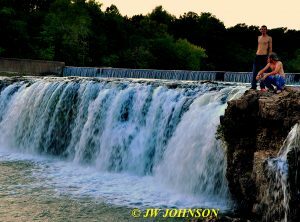 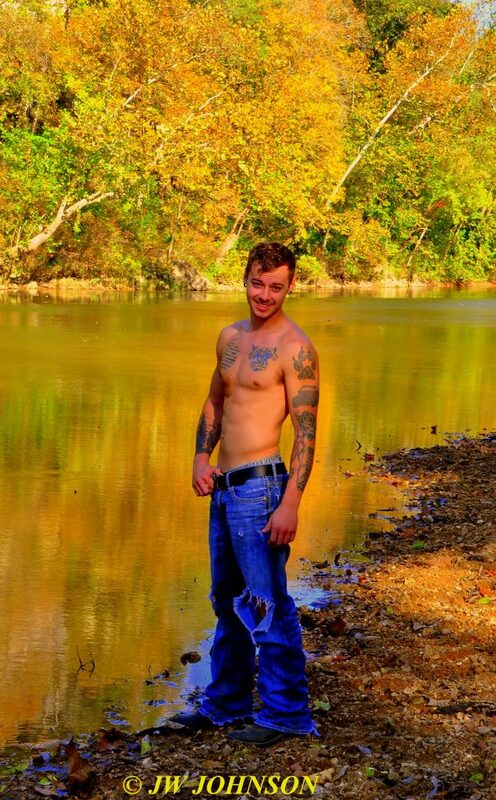 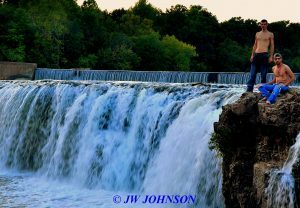 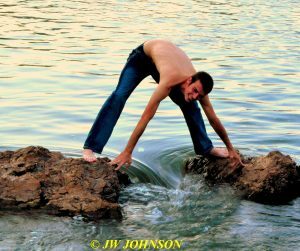 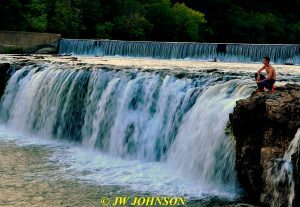 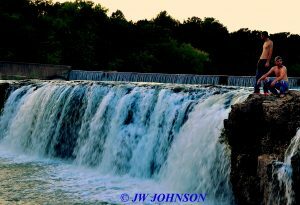 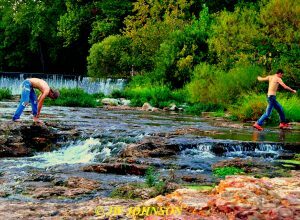 Continuing on with the Joplin shoots, Josh was with me when I went to photograph Christopher at one of the most beautiful waterfalls in Missouri…. 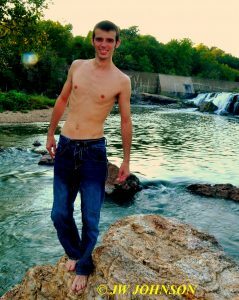 …we walked over to the far side of the rocky shelf area and found a couple of boulders that were not being used by others and afforded us a good sized chunk of the falls for the backdrop…. 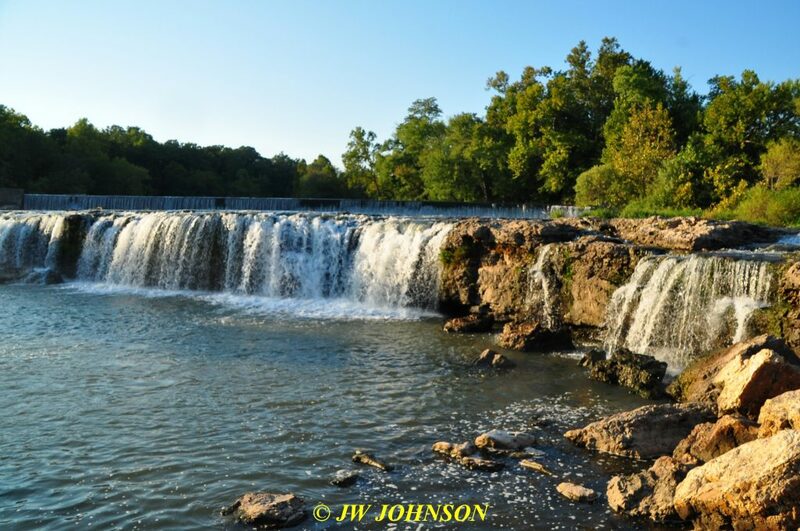 …they stretched out on a slanted flat rock to take in the last of the suns rays and then climbed up to the top shelf that the running water falls off at the top….